: All Year Long (Except. Christmas Day, Boxing Day & New Years Day.) 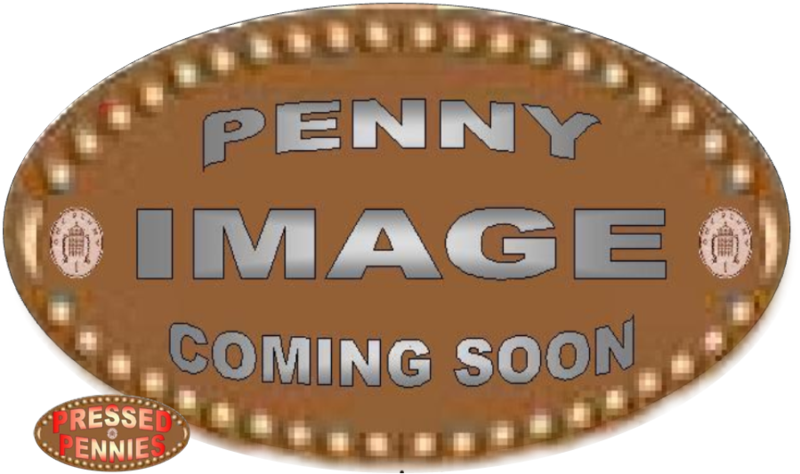 Weekdays 10am To 4pm, Weekends 11am To 4pm. Discovery Museum Is Only A Five Minute Walk From Newcastle Central Station Metro, The Mainline Rail Station & Local Bus Services. The Museum Is Well Signposted From The Station. 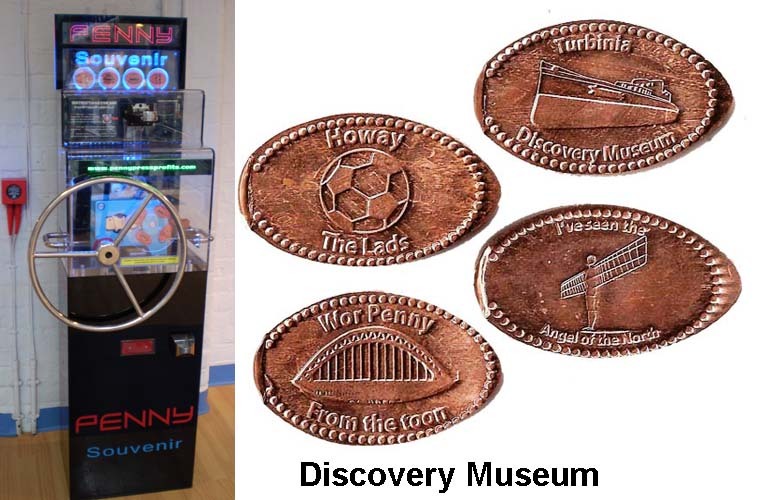 The Discovery Museum Is Were You Will Discover All About Life In Newcastle & Tyneside, From The Area's Renowned Maritime History & World Changing Science & Technology Right Through To Fashion Through The Eras & Military History. The Museum Is Bursting With Interactive Displays, Which Makes It The Perfect Place To Learn & Have Fun. Our Displays Are Regularly Updated & Complemented by An Array Of Free, Fun Learning Activities. One Of Our Favourite Exhibits TURBINIA Dominates The Entrance To The Museum. Invented On Tyneside, It Is The First Ship To Be Powered By A Steam Turbine. The 35 Metre Vessel Was Once The Fastest Ship In The World & Her History Is Brought To Life In The Turbinia Story Display. She Sets The Standard For A Day Out That Is Guaranteed To Be Filled With Breathtaking Discoveries. 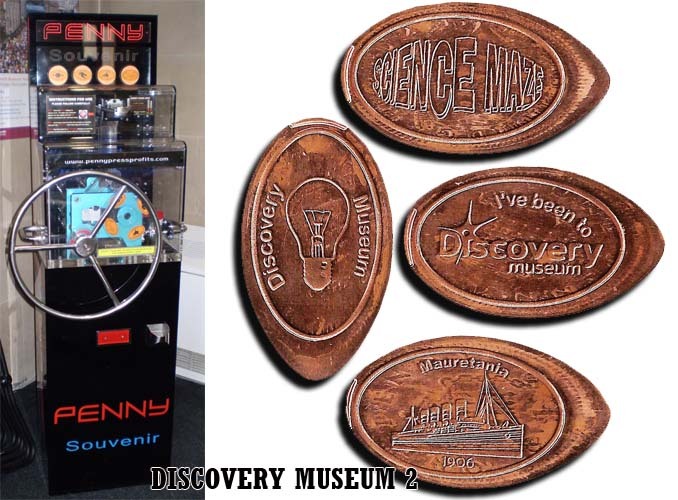 The Discovery Museum Have 2 Machines With 4 Different Pennies But 8 Different Designs. 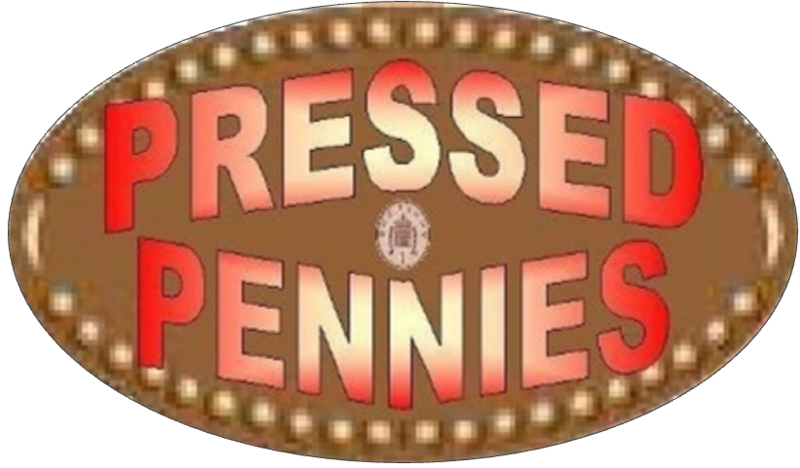 The Penny Press Machine Is Located On The First Floor Of The Museum At The Top Of The Stairs.